Last week, we reported that Person of Interest executive producer J.J. Abrams said the series will likely be cancelled after its upcoming fifth season. Now, CBS has stated that the decision to cancel or renew will not be made before season five premieres in the spring. Person of Interest was renewed for a 13-episode fifth season back in May. What do you think? Are you a fan of Person of Interest? Do you think the next season will be its last? 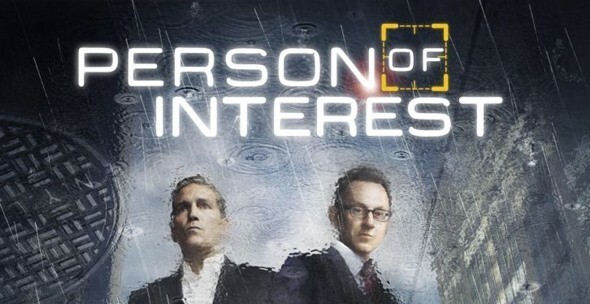 More about: CBS TV shows: canceled or renewed?, Person of Interest, Person of Interest: canceled or renewed? It is very sad that CBS did not pick up the renewal of a series that is loved by many. I am really tired of CBS, bad news, politically bias and now cancelling a show that it is good in heart. Trying to help people is not a bad thing…now a days, CBS. Your bad…. you are to loose me as a fan. this show was so closely related to how our privacy is being compromised with government and big business. Cancelling it puts us in the dark. Lease don’t end this show its one if the best EVER. After reading several articles that the problems may be due to ratings may be because of the silliest time of day they are in. I can only view it on space and the time they are in are 3pm and 1am. Very weird hours for a working person to watch. Always sort if resented that because I fell in love with this show. Why????? Shaw is still there! Fusco too! Plus Bear. There were others that were given “numbers” to protect. A new team can continue on. Besides Finch lives with his love, Grace. The computer was re-booting at the end. Please bring it back! What a Great show! Makes you think of the value of each human being. And the horror that comes when they listen to the dark side. In these times we need Heros and this show gave them to us! They can’t bring POI back without Finch and Reese they were the show. The only way would be to have everyone live at the end and beat samaritan and continue to help people like they were doing. The other reason is you can’t bring it back,since there would not have been reason to cancel it. I love POI and don’t want it cancelled. But it wouldn’t be the same with the original Jim &. Harold!! Keep POI going for a sixth season! !Need all fans to speak up!! POI: Excellent show, acting, writing!!!!!! CBS killed ANIOTHER show lthe usual day & time shuffling out of existence. CBS mgement needs 2 be fired 4 not acting outside the NCIS box. Actors, writers, creators WIN network LOSE!